Challenge and excite your pre-teen with cool puzzles from their favorite films and explore their talents with art and science projects! Lego lovers can build scenes from Lord of the Rings, Star Wars, The Lone Ranger, or tons of superhero movies, or create their own fun scenes. Crafters can build jewelry and accessories with pretty beads, thread and paper. Older kids can explore and learn about the natural environment with the help of Discovery Kids’ science equipment. Doodlers can learn to draw superheroes and Star Wars characters. 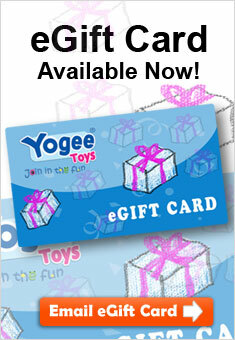 There is something that every unique tween will enjoy at Yogee Toys!